Does anyone remember that little poll as to whether Rambling of a Beauty Blogger should venture over to Youtube? Probably not... but it happened anyway! 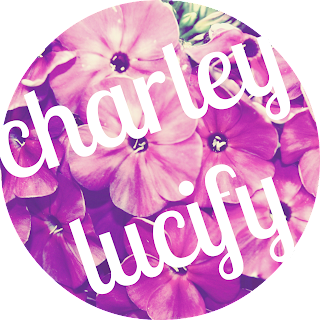 Sadly I did have to change my channel name as Rambling of a Beauty was a tad too long and my old reliably CharleyLucy was long gone, so without further ado, welcome to my new channel - CharleyLucify! Here is my first actual sat down talking video for you guys. I know it's far from perfect and took my forever to film but I really hope you guys enjoy it. Please leave your constructive criticism and requests in the comments below - I can't wait to hear what you think, good or bad, I made this for you guys! It was so much fun to film (you should have seen the outtakes!) and was great to finally sit down and talk to you for a change. Read my entire review of the Lush Lip Tints here and Jackie Oates here.